Strange and beautiful, this piece is unlike any we've seen before! 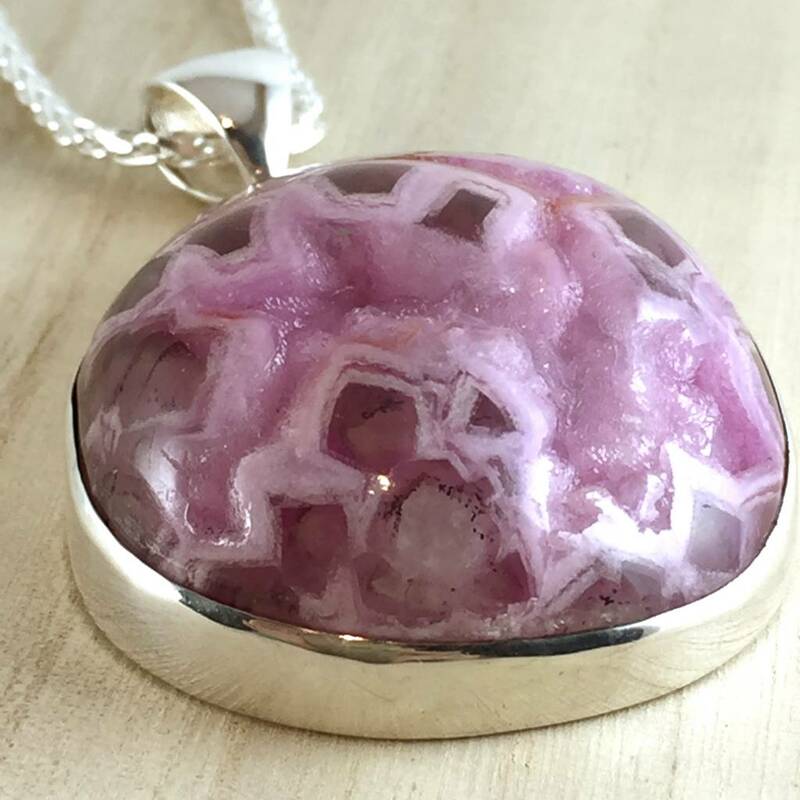 Bubbly (botryoidal), sparkly (drusy encrusted), and translucent, it looks almost like a coral... or brain! 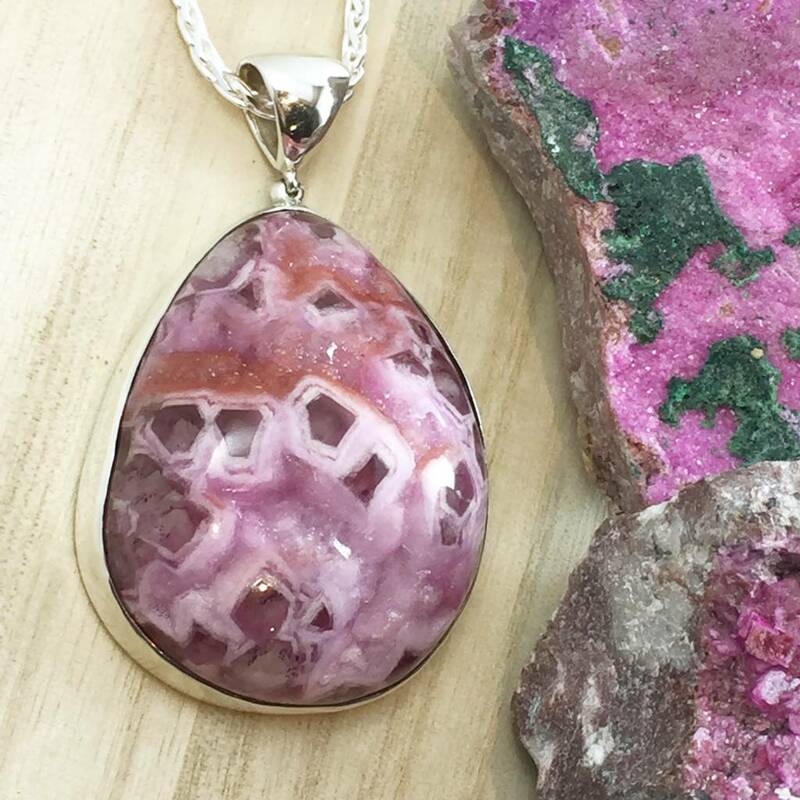 Cobaltoan Calcite's rich bubblegum-pink color, caused by the presence of cobalt, is unusual and highly collectible in the mineral world. It is mined most notably in Morocco, Congo, Spain. 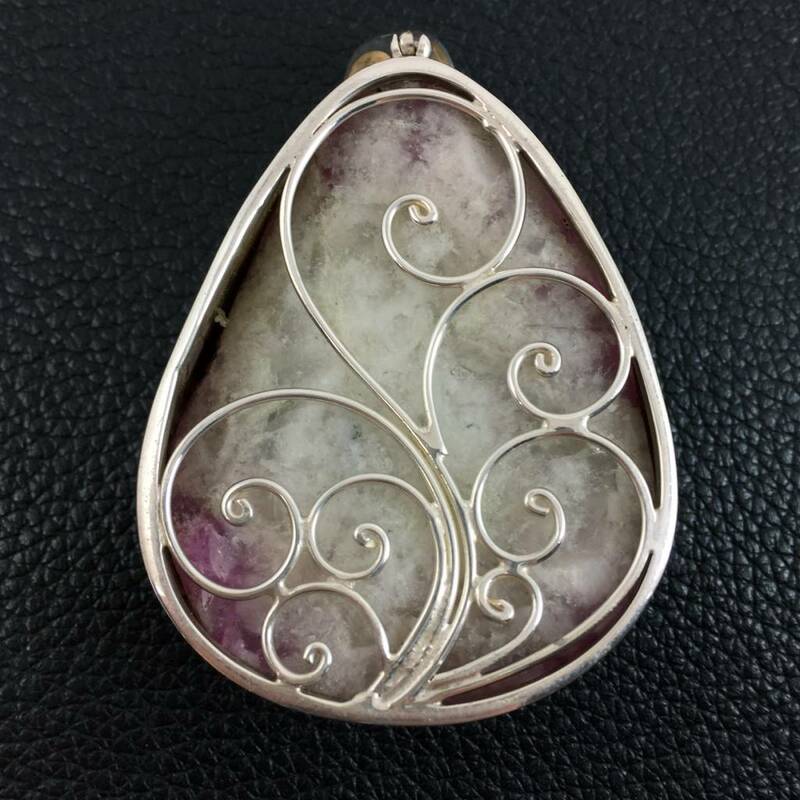 This pendant features a sturdy custom bezel setting, swirl filigree backing, and a bail roomy enough to accommodate a heavy chain, leather cord, or strand of beads. Set yourself apart with this bold natural masterpiece!